Cats have nine lives. Cats always land on their feet. Yes, these sayings are all well and good, but in the real world, there are some vital safety steps that you absolutely must put into place at home to ensure that your feline avoids harm. Here’s your seven point checklist to get started on now. 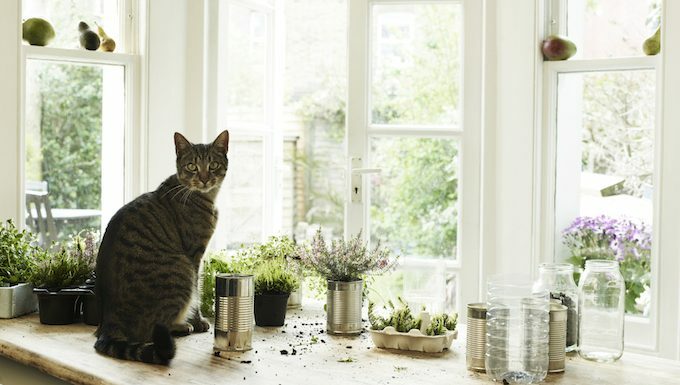 Thinking about getting back to the land and growing your own indoor kitchen herb garden? Or sprucing up your living room with some mighty, healthy plants? Well, before you exercise your green thumb it is imperative to make sure that you are not introducing poisonous plants, flowers and herbs into your house. 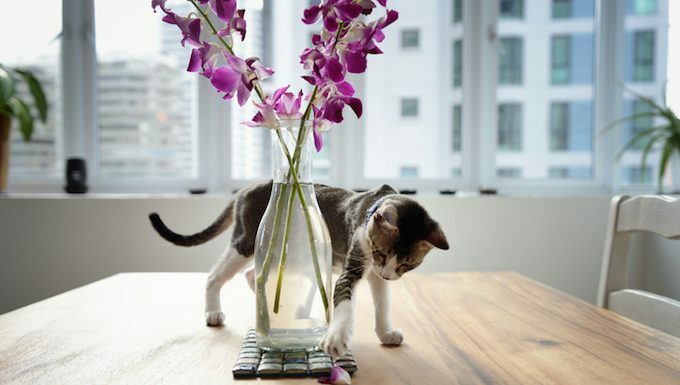 Consult the ASPCA’s exhaustive list of plants that are toxic to cats. Lots of cleaning products can be toxic to cats, so make sure heavy-duty cleaning substances for your drains and ovens are locked well out of paw’s reach. Also, never use bleach or industrial-strength cleaners during litter box duty. Not only can they irritate your cat, but the potent smells can put them off entering the box. 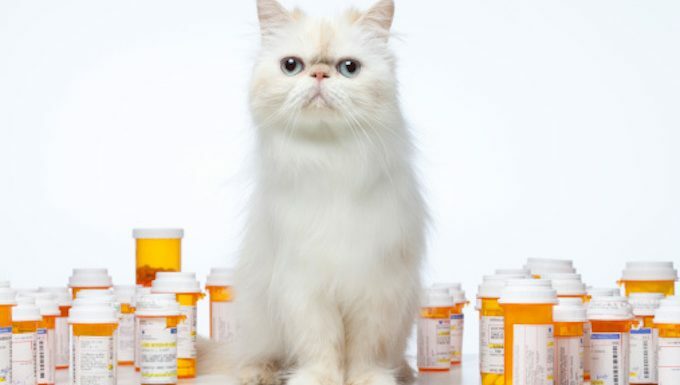 This one might seem a no-brainer, but it’s also important to avoid the laziness of leaving vitamins and other supplements out and about where they could be knocked over and scarfed down after being mistakenly seen as feline treats. Cats can be both incredibly dainty and unwittingly clumsy, especially during their kitten days. So be smart and make sure anything that is heavy or could break into sharp pieces is not left idly on a windowsill waiting for your furball to brush by a little too vigorously. Also, tall furniture that might look like an appealing climb should be secured to the wall, lest it topple over as your feline attempts to scale it. It might seem cute when your newest kitty bats around the blind cord in a playful fashion, but you really need to tie them up and keep them out of the way. Why? In case a play session goes wonky and the cord ends up wrapping around your cat’s neck. 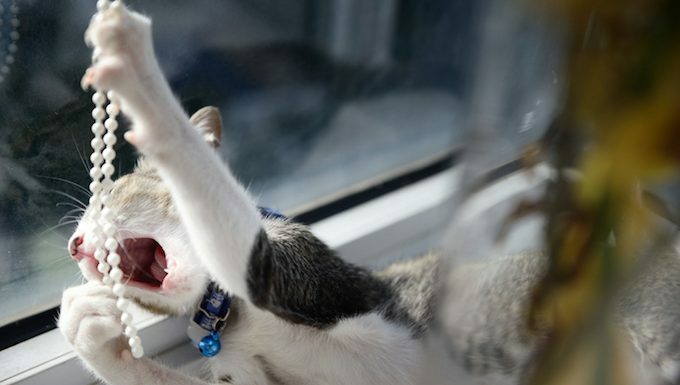 It’s not exactly a fun chore, but when you start opening the windows again for the warmer months, run your hand across your screens to make sure there aren’t any holes developing in them. Also, check to make sure that the screen itself is actually secure and won’t pop out. 7. Don’t Lock Your Cat Inside Appliances! This happens way too often for it to be funny. 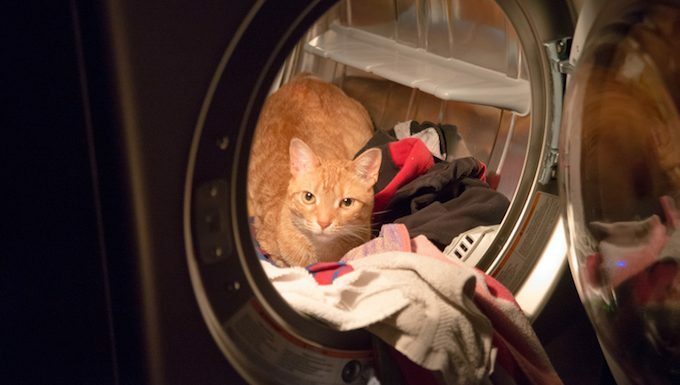 A cat wanders into an open washing machine, tumble dryer, or refrigerator only to have their human shut the door on them without realizing and start up the machine. Don’t be that person! 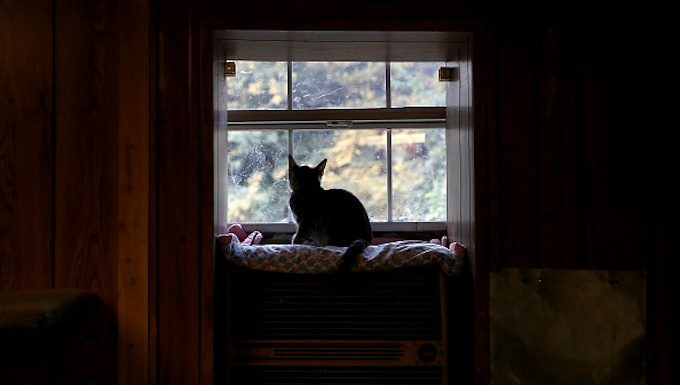 What other tips do you have to keep your cat safe? Let us know in the comments below!